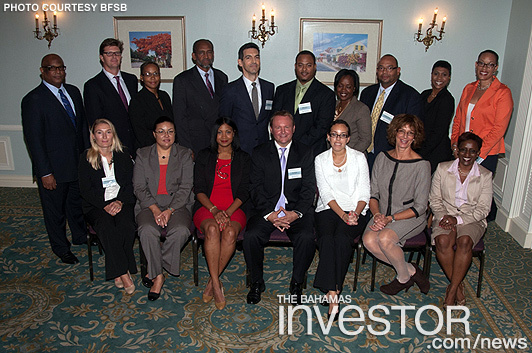 The Bahamas Financial Services Board (BFSB) conducted its 2012 annual general meeting last week, electing a new board of directors for the 2012-2014 term. The officers of the organization will be selected at an early board meeting. BFSB directors elected include: Michele Balice, BSI Overseas (Bahamas) Ltd; Timothy Colclough, Butterfield Bank (Bahamas) Ltd; Linda Beidler-D’Aguilar, Graham, Thompson & Co; Steven Ferguson; UBS Trustees (Bahamas) Ltd; Heather Bellot-Hazarian, MMG Bahamas Ltd; Ivan Hooper, The Winterbotham Trust Co; Vanessa Knowles, Credit Suisse Bahamas; Samantha Knowles-Pratt, Delaney Partners; Peter Maynard, Peter D Maynard & Co; Tiffany Norris-Pilcher, Ernst & Young; Jeremy Proffitt, RBC Wealth Management; Prince Rahming, PricewaterhouseCoopers Bahamas; Christel Sands-Feaste, Higgs & Johnson; C James Schaefer IV, Old Fort Financial; Arthur Seligman, Lennox Paton; April Turner, McKinney, Bancroft & Hughes; and Paul Winder, ATC Trustees (Bahamas) Ltd. The board also consists of individuals who are elected to represent professional industry associations (PIAs). Aliya Allen, in her capacity as BFSB’s chief executive officer and executive director, will serve as permanent representative on the board, as will Viana Gardiner, Director of Investments within the Ministry of Financial Services, as the government representative. At the AGM held on September 24, chairman Paul Winder addressed the need for BFSB to continue its agenda of change. He referenced the many regulatory developments of recent times, noting that there is no question that “smart” regulation brings many benefits. He stressed, however, the importance of working to ensure that regulation does not become a barrier to sustainable growth. 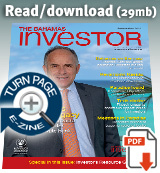 “Regulators must be change agents, fully grounded in business practices,” he said. Aliya Allen, in her CEO’s report, spoke to BFSB’s mandate of industry development and the important roles both “big” and “small” development continues to play as the organization strives to fulfill both this critical directive and its key promotional mandate. “BFSB has over the years proven that it is an effective tool for both government and BFSB members to effect real improvement in the business of financial services in the country and the image of The Bahamas as an international financial centre,” she said.